Duchesne's Pioneer Fund supports our annual budget, campus improvements, and new programs, such as the Duchesne House System. Please click here to make your Pioneer Fund gift online. With the introduction of the House System this school year, Duchesne has more of a family environment than ever. Our House captains are pictured above with Principal Fritz Long. They and our house deans, along with mind, body, spirit, and soul officers for each house, are creating an even more inclusive sense of belonging in a small community across all levels, interests, and activities -- fostering leadership skills, expanding our mentorship program, and increasing service participation. Our sense of community continues to be at the heart of what makes Duchesne special: a safe, welcoming environment providing a faith-based Catholic education with academic excellence second to none in a co-ed, real-life setting featuring a small student-teacher ratio and a nurturing, vibrant faculty, which helps our students achieve 100% college acceptance and high ACT scores. We could not provide this exceptional education experience without your support. We keep tuition as low as possible (currently at $10,500), but the cost to educate each student is closer to $14,600. Your tax-deductible gift to our annual Pioneer Fund will help us remain sustainable and grow enrollment. The Pioneer Fund is your contribution to our annual budget. This is your opportunity to support Duchesne directly. Your gift stays right here. 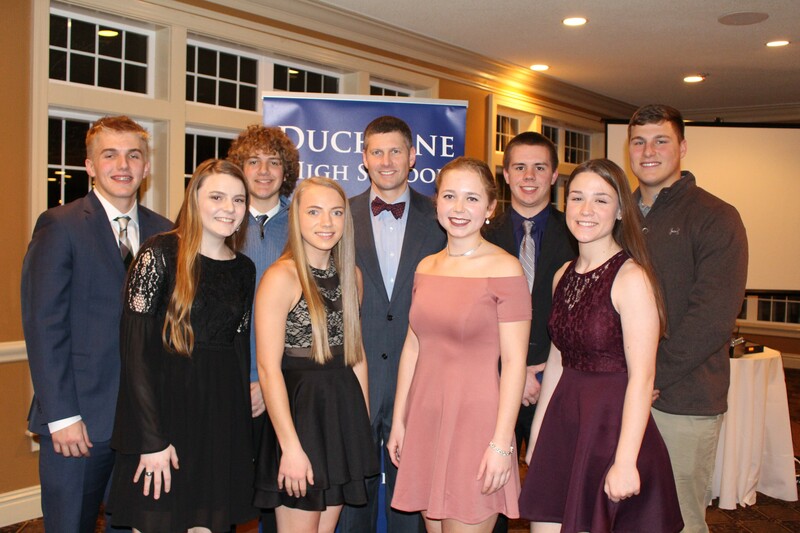 The St. Peter/Duchesne High School community has a rich heritage of supporting our school, home to generations of amazing young people who have been given the opportunity to reach their full potential. In this 200th anniversary year of our patron saint’s founding of Catholic education west of the Mississippi, let us all join together to keep that tradition strong. Your support is most needed and most appreciated. At whatever level you can participate, that participation validates the commitment you have to Duchesne High School and Catholic education. The annual Pioneer Fund is a critical component of our annual budget. Thank you for your support! Please contact the Office of Advancement at 636-946-2603 for more information.